Liane Holliday-Willey: Please talk to us about your work with the Mind/Body approach, in particular, how you apply this to those on the autism spectrum? Vicente Rubio: My mission in life is to advocate for, and to enlighten those on the autism spectrum, and for those whose lives have been touched by trauma, grief, injustice and pain. I believe strongly in a Mind/Body approach to living life, being autistic or not. This I answered by developing a Mind/Body training paradigm for general fitness and health in 1985 called, ‘BodyKi’, and that I have applied to those on the autism spectrum I have mentored since 1990 through my private practice Pathfinder Mentoring. To me any other theraputic approach is just touching the surface. The BodyKi Mind/Body model advocates that we are one complete entity and not in pieces. In this way the positve behavioral changes mentored would be anchored by their whole being, and not just going in one ear and out the other. The core BodyKi is breathing, and posture and presence is the expression. I also believe strongly that my life story, my past as a undiagnosed autistic kid dealing with racism, Post Traumatic Stress Disorder and Traumatic Brain Injury, is important to share with others because that interface allows me access others in a uniquely whole way. When my history and my present state of mind work together, I find I am better able to help and mentor others to live their lives liberated and free from the guilt, shame, trauma and the crippling anger/grief of so many past experiences of humiliation, defeats and social disasters. LHW: Interesting you feel strong enough, and free enough, to embrace your past. I am just learning my past can stand as a very strong root for my growth, rather than become a giant hole I could fall into. If I am careful to analyze my history with objectivity and a few points of pride that remind me I survived some tough struggles, I find I can turn some of the bad moments into badges of courage and survival. But you take the metaphor farther and use your past to create the Mind/Body way of life. How did you realize the Mind/Body connection could help you cope with autism? VR: The revelation that I could exist and function on the physical earth (body) was exhilarating and exciting for me. For so many of my early years my connection to my body – the physical/social world- was illusive and non-existent. I was out of my body most of the time due to physical and emotional trauma, the marbles in my brain felt all mixed-up from physical beatings, and then there was the fact I was an undetected kid on the autism spectrum. I was always bumping into things, spilling things, unable to throw or catch – play social games, write, tie my shoes… I was awkward and stuttering, and I had anger meltdowns like a Tasmanian devil. I would stare blankly at a bare wall or into space. I was not grounded at all to earth or its’ inhabitants. When I discovered the world of dance, I finally experienced the connection of who I was in the moment (Mind), and what the physical social world around me was doing and how I needed to (and could) process all that I was experiencing (Body). We now know this as ‘mindfulness’. This mindfulness allowed me to train my mind/body to learn how to swing with the emotional punches-and physical stresses. Being a trained dancer, I began to learn to move elegantly and powerfully, with a creative vision. This was very different than the clumsy, emotionally fragile and low confident self of my early years. Later, the martial arts helped comprehend that with a clear and directed mind I could express any physical action I desired. This Mind/Body awareness eventually helped me regulate the many sensory challenges I faced (smell, tactile, sounds and light), manage the social anxiety and stress I would experience around people (the trauma of racism), and understand that the health and fitness of my body helped me with my detrimental cognitive roadblocks. Most importantly, the Mind/Body tools I developed helped me become patient and forgiving of myself. LHW: I note you say, “forgiving myself”. Most people focus on forgiving others, thinking there isn’t a need for self-forgiveness, particularly if they see themselves as a victim. For example, I haven’t sought self-forgiveness because I feel I was preyed upon and not responsible for the many bad things that happened to me. But your books have helped me cue into the fact I do, on some levels, blame myself for a variety of things. This self-blame may lay dormant and be on a subconscious level, but you’re observations are spot on. I’ll bet most of us have a need to realize we may harbor feelings we are in some way to blame for things beyond our control. Thank you for this insight. It is an insight I will be working to unravel immediately. Toward that goal, I’d like to know why you think we need to explore the notion of self-forgiveness? VR: Self-forgiveness is a virtue I mentor to release shame, guilt, self-ridicule and self-loathing. For the AS teen that has lived a life of social and cognitive confusion, learning then to forgive themselves for their part of painful incidences of their social disasters, will allow them to forgive others (the abusers), and thus is relieved of the emotional baggage that, in most cases, manifests in their bodies in detrimental unhealthy ways. With newfound avenues of self-expression and new social skills tools learned, the autistic individual or not, can move forward void of past negativity that drains lifeforce. Forgiving is good. LHW: You talk about racism in your book, ‘The Odyssey of Woolly Mammoth Boy.’ I’m always saddened by how few people of color attend conferences on autism. How can the community help to change this? VR: Racism is a parasite to the heart and soul of the one who is on the receiving end of its’ toxicity. It is hard to explain racism to someone who never experienced it. It is like trying to explain to someone what an orange tastes like. In the 1980’s when I taught up in Spanish Harlem in New York City, I could have bet a thousand bucks that maybe a quarter of those kids were undiagnosed AS individuals. I knew they would not see any intervention or receive assistance because they lived in an area of New York void of city, state or federal awareness...they were not on the social radar. And why should they be? Racism put them where they are, and racism kept them where they are. The social economical ladder is hard to climb when you are starting with not much to begin with. Today, life is different, but not all that different. How many pictures do you see of AS kids of color on the cover of major magazines advocating for autism? Not many. When I go to the Philippines on autism advocacy and training missions (I have been there four times in two years), I have found a booming autism population, and not one white face. Most of the services for the Filipino autism population are sparse and few. My Filipino friend, Sir Archie David, runs a successful school for young people on the autism spectrum and learning disabilities, that is grass roots in it’s core, and empowers the autism community from within- with not much government assistance. Brilliant! VR: For the United States to help all people on the autism spectrum, regardless of color, the social/economical playing field needs to quit being the determining factor in who gets timely services. By developing more outreach programs for inner city autistic communities, and offering free early testing and prevention programs, we bring into the fold all those in need. It would be great to see more local autism community-based sponsorship for autism advocacy and training for AS young people and their parents who are less fortunate. Share the wealth, we are in this together! LHW: Agreed. Very important points. I’d also add our community needs to continue to work on the public relations of the face of autism. If the world continues to focus most of its attention on the complications of autism rather than the fine points, we face losing people who will be reluctant to admit they have it or have a child or friend with autism. I can only imagine how difficult it must be for someone facing racial or social prejudices to add autism to their list of struggles. It might be less stressful and at times, easier, to ignore the autism. I use the straw on the camel’s back metaphor in this case. How much can a person or a family take before they start to crumble or give in to learned helplessness? RV: Most of the AS cases I was involved with since 1991, displayed the following family dynamics surrounding an AS child: there was the non-factor father (not all cases), a overburden mother/single parent, and ‘normal’ siblings that hated being around their troublesome high maintenance AS sibling that took a toll on the whole family, that was also, overburden financially and fighting for the few services available. This may go on for years! There is not one outstanding factor that burdens and breaks the AS family, it is a case of the exponentially growing burdens of a long tough life. For the AS individual, the years of disappointment, bullying and failure slowly develops into a scab of intolerance to change because of learned outcomes of failure. The AS individual can be depressed, lethargic, uninspired, shame riddled, given up all hope, and in some cases, spirals down into toxic habits. LHW: It is never easy to handle the tough stuff that comes with feeling different, particularly if we feel different in more than one way. 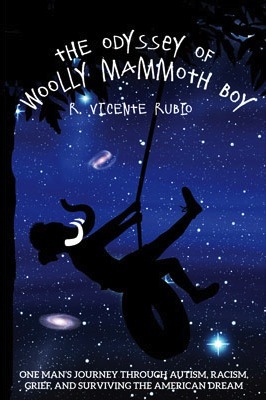 In your book, The Odyssey of Woolly Mammoth Boy, you discuss the complexity of grief. I suffer from much grief. Sadness puts my heart in a prison. What is your experience with grief and how people on the autism spectrum can learn to deal with grief? VR: The many experiences, some when I was very young in age, of abandonment, rejection, betrayal and death, the most recent, the passing of my vibrant wife to cancer in 2010, is the grief I carry. Grief comes in many packages…all of them have the power to destroy the soul. I mentor my clients to first identify their source of grief and the wounding, then we compassionately develop strategies and behaviors to safely express the long-held grief that can be debilitating and spirit deadening. This is the beginning for any grieving individual to move forward with new emotional strengths and positive visions. We therefore acknowledge that life is constantly in dynamic motion, and what we had experienced- the loss and grief, is part of the whole picture of living that also contains abundance and great joy. LHW:Your story and insight is extremely enlightening. I am looking forward to learning more from you and very excited to see what the future holds for your work in the autism field. We are blessed to have you among our community. 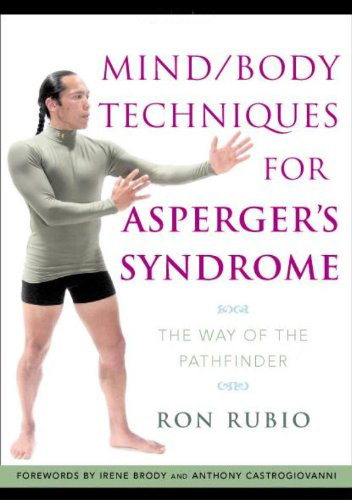 R. Vicente Rubio is a first-generation Filipino-American assessed with Asperger’s syndrome. Vicente has enjoyed a full life as a professional dancer and martial artist since 1979. He is an author, a master teacher and Mind/Body specialist. He holds the rank of 5th Dan in Aikido. Vicente mentors, advocates, and conducts training for those on the autism spectrum on successful healthy life skills for independent living.